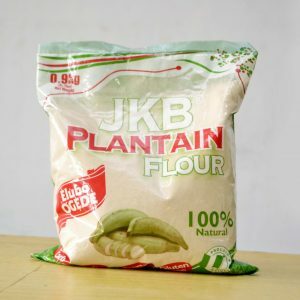 100% unripe plantain. (Elubo Ogede). Low in carbohydrate. High in fiber. Sugar and gluten free. No preservative added.